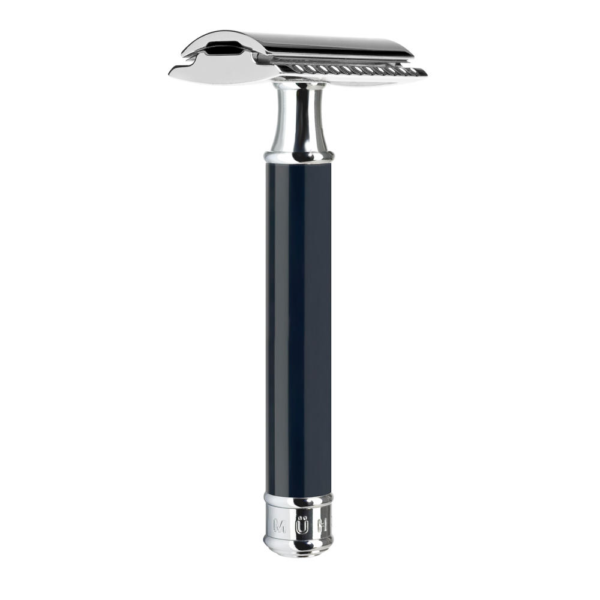 The Muhle traditional black safety razor R 106, will not let you down In the morning. The black resin Is close too ebony, which Is polished several times In order to obtain It’s gleam. Also complementing the sparkle of the chrome, closed head and base. This 3 piece razor has a virtually unbreakable mechanism, which takes double edged blades. The R 106 comes with a single free blade, but packs of ten Muhle blades are available on the site. Along with 8 other varieties of DE blade. 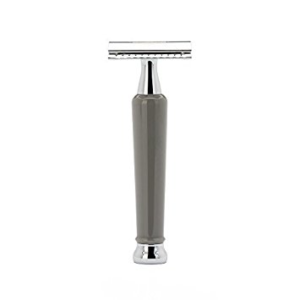 This razor Is set at a mid aggressive angle which Is great for an everyday razor. 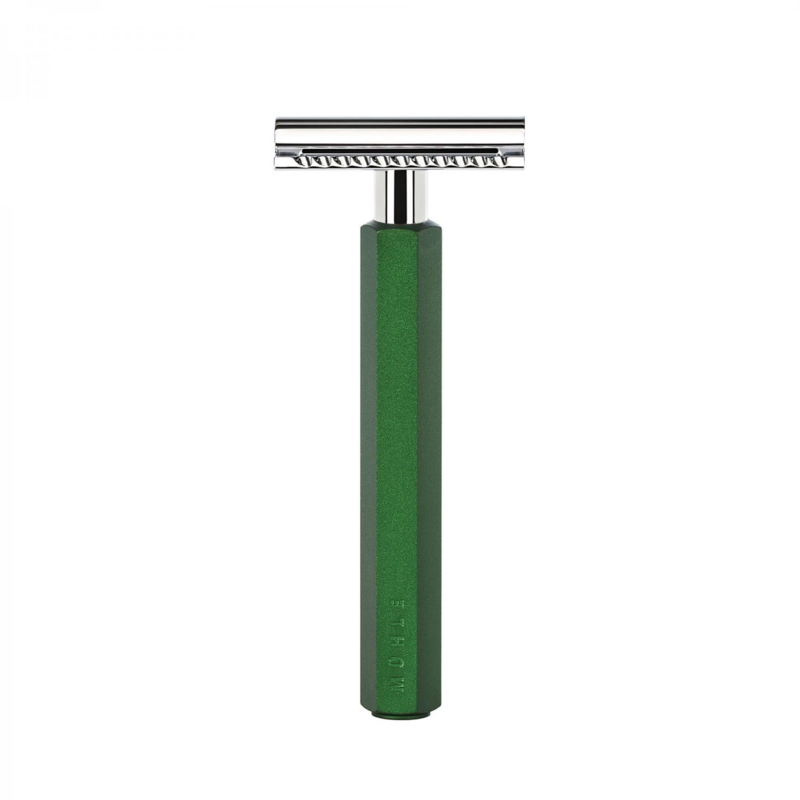 The 94 mm of length gives the shaver a great deal of control, the brass lined handle gives this small razor a weight of 64 g, which feels perfectly balanced. Muhle were formed In 1945, and are a powerhouse In the traditional shaving world. We at Edward’s are an official retailer. Also realizing double edged shaving takes a little more time and skill, we have lots of Information on our blog. Safety razor technique Is Important, we use small strokes like an Italian sculptor would whence carving a masterpiece. 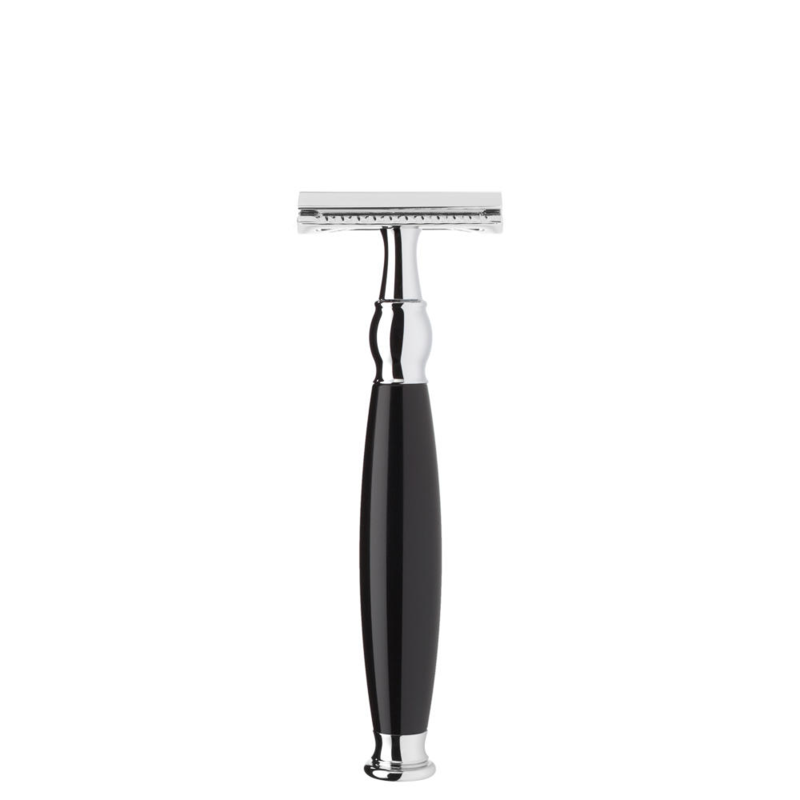 With the Muhle traditional shaving black safety razor R 106, you will obtain a high level of shave. Also remember to well prepare your face, shaving oil act’s as a great barrier between your skin and blade, hot water and a strong lather Is also key. 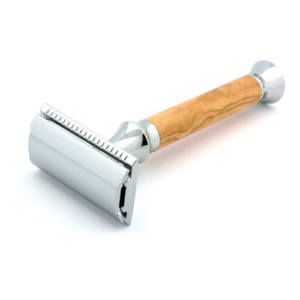 Free next day delivery to the UK on this excellent safety razor Is another perk. We also strive to answer any question you may have on traditional shaving and our brilliant products. We really do know our stuff and wish too Impart our vast knowledge of shaving too you. Christmas Is also Just around the corner so get In quick. As these babies are quick to sell.